That’s the question being asked by my friend Allen in his new book, Shaken Awake. Allen uses real-life events that many of us here in the Atlanta area experienced just ten months ago to tell a tragic tale, one that – though this is a book of fiction – happens much too often not only in Atlanta but in cities all across our nation. During my business travels, I’ve seen homeless on the streets of Austin, and Orlando. I’ve been approached with pleas of assistance in Washington and San Francisco. I’ve jogged through camps under bridges in Portland. And yes, here in Atlanta I’ve spoken with some of those living on the streets and have volunteered in night shelters. Reading Allen’s book made me ask myself “is that enough, what else can we do – what else can I do?” I encourage you to get a copy and answer questions for yourself. 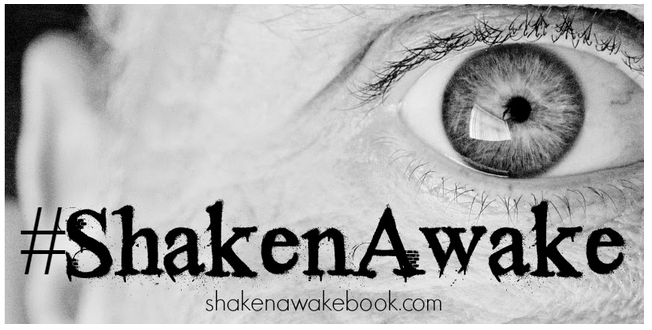 Update: Shaken Awake is now available for Kindle devices and software at Amazon.